On 6 September 2017, the #Ukrainian #Government decided to #reduce the #percentage of #deduction of #net #profit of the Ukrainian #Seaport #Administration from 75% to 50% starting from 2018. This will allow to reduce #ship, #canal, #lighthouse, #sanitary, #anchorage, #moorage and #administrative #charges by 20% as of 1 January 2018. According to the Prime Minister of Ukraine Volodymyr Groysman, Ukrainian ports are expensive; the businesses repeatedly raise the issue of cutting the port charges. “We are reducing the charges in order to make the ports more competitive,” the head of government commented on the respective regulation adopted at the meeting of the Cabinet of Ministers on Wednesday, 6 September 2017. The reduction of port charges, however, requires numerous approvals from various ministries. Ultimately, the Cabinet of Ministers has to approve the decision, and only then the changes will enter into force as of 1 January 2018. 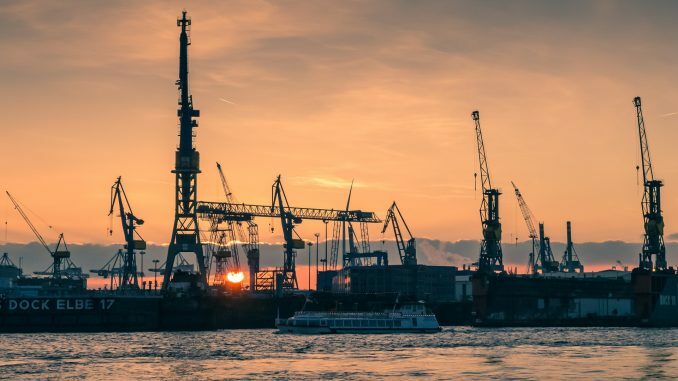 The explanatory note to the draft regulation states that port charges represent about 68% of the net profit of the Ukrainian Seaport Administration, which is a state-owned enterprise. Therefore, the increase by the government of the percentage of deduction of the state enterprises’ net profit from 30% to 75% at the end of 2015 made the reduction of port charges impossible. The port charges in Ukrainian ports are the highest in the Black Sea, and much higher than in the competing countries in the export markets. For example, ship entry fees in the Ukrainian port of Yuzhny are 4.5 times higher than those in ports handling coal and iron ore (Hey Point in Australia, Vancouver in Canada, Tubarao in Brazil). Since ship entry fees are included in the price of goods, the high rate of those reduces the competitiveness of Ukrainian exports and makes imports more expensive. Thus, the reduction of port charges is a very positive step. The experts predict that the reduction of port charges will contribute to reducing import costs, increasing the competitiveness of Ukrainian exports and the attractiveness of Ukrainian ports for transit freight transport. Given the fact that the port charges in Ukraine are much higher than in the neighbouring countries, this is only the first step. The ultimate goal should be to reduce the charges to the level of neighbours and competitors.